Monster Smash will again include four new factions, and although their names haven’t been officially announced we’ll be looking at werewolves, vampires, Frankenstein’s monster and giant insects. 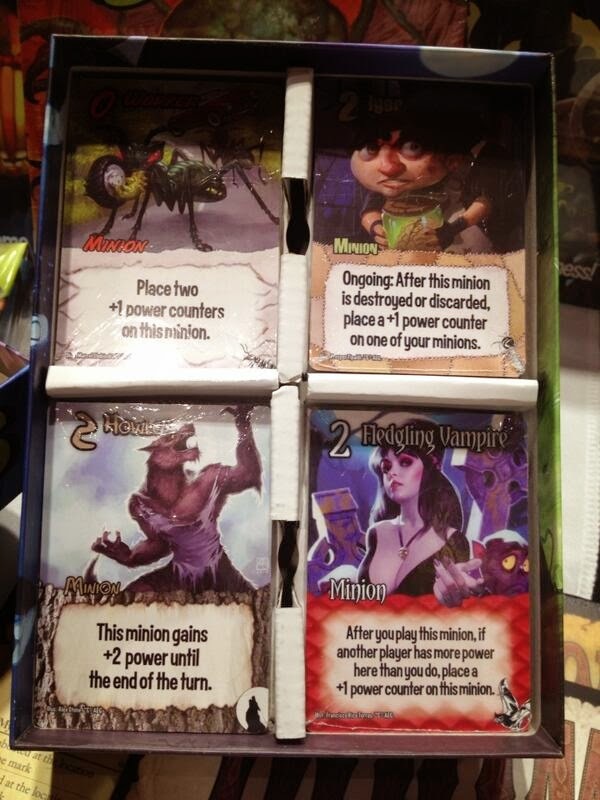 Looking at the teased images of the cards these new factions will also introduce new concept in the form of ‘+1 power tokens’ so we can assume they’ll be included in the box as well as some new themed bases. It looks like these new factions won’t just add these tokens to the game but have ways of adding them, taking them away and even moving them between minions. 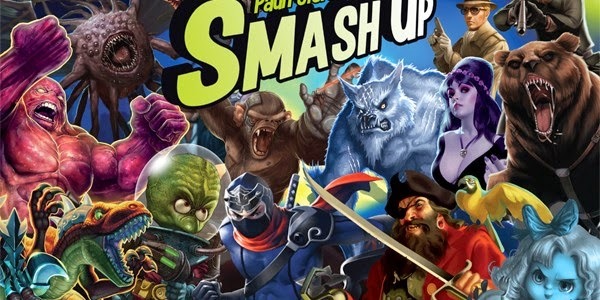 If that wasn’t enough smashingly good stuff AEG have also announced the release of The Big Geeky Box. This isn’t a copy of the game but a deluxe box to contain the game in. If you’ve got either Thunderstone or Nightfall in your game collection then you’ll understand the format of the box, with two long rows, dividers and foam packers. If you need a bit of more of an incentive, The Big Geeky Box will also include the Geeks deck, based on Geek and Sundry with cards for your favourite geeky YouTube celebrities such as Felicia Day and Will Wheaton. 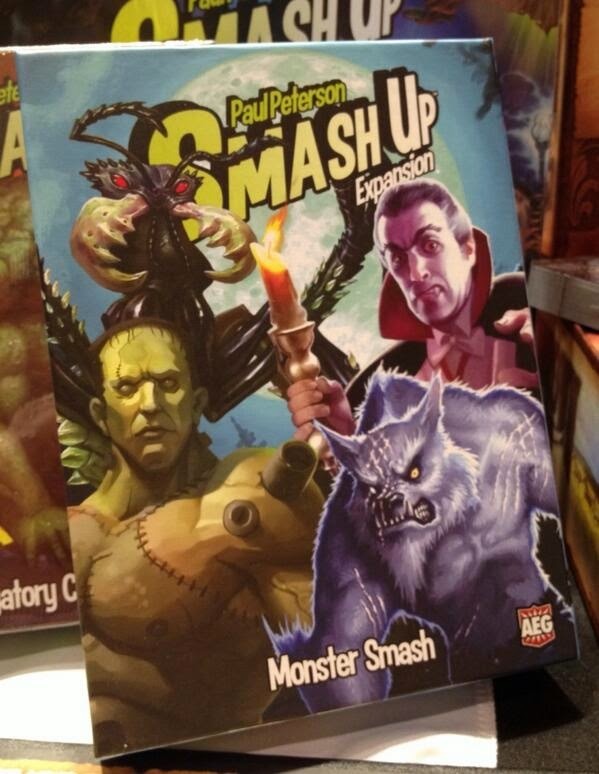 The Big Geeky Box is due out in August and Monster Smash is set for release around October, though expect some copies to be demoed at Gen Con.